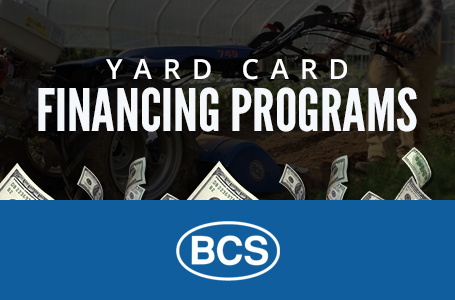 Enjoy the benefits of a self-propelled, professional pressure washer on your BCS tractor! 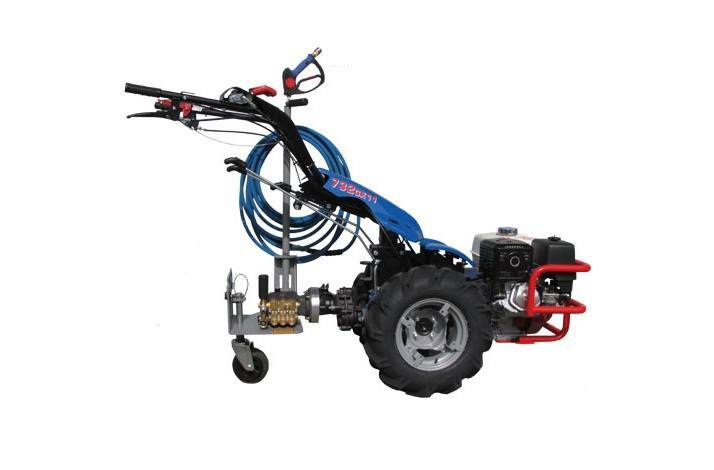 Equipped with an AR pump, the BCS Pressure Washer puts a premium on both performance and durability. 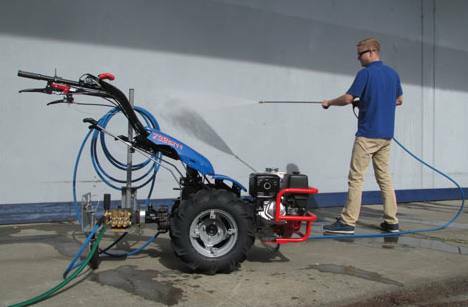 Start the engine independently of the pump and feel the force of 16,000 cleaning units (PSI multiplied by GPM). 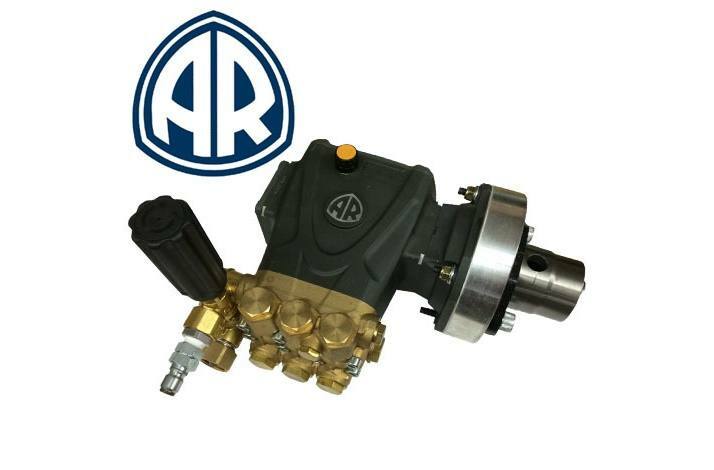 The AR pump is built to last with a forged brass manifold, ceramic plungers, and stainless steel valves. Best of all, AR supports its pumps with a 5-year warranty. 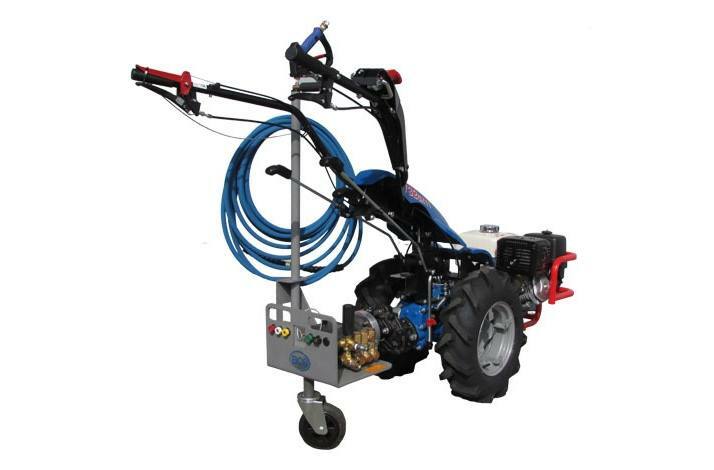 The Pressure Washer comes with a 50-foot hose, 36'' pistol-style wand, and five tips for variable pressure output (angles are 0, 15, 25, 40, and 65 degrees). 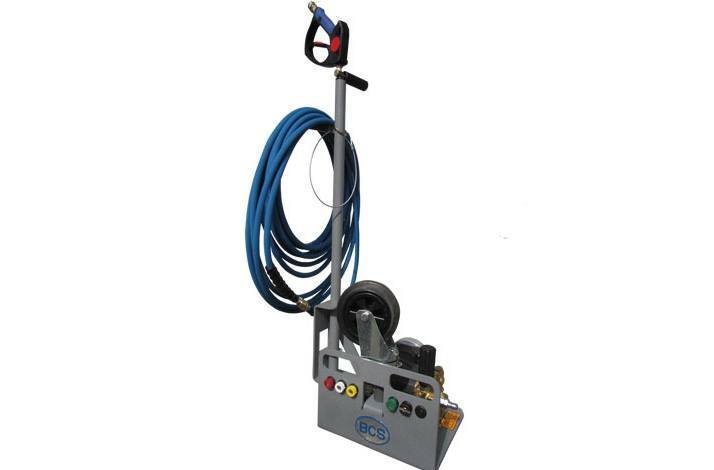 The customized powder-coated frame employs convenient storage for the wand, hose, and tips. An easily removable swivel caster wheel helps transport the unit to the job site. The compact size of this implement makes it easy to remove and install on BCS tractors, and leaves a small storage footprint (20'' x 20''). PW4000-40 Fits models 732 and up (11 HP and up). 4000 PSI and 4.0 GPM. PW3600-35 Fits model 722 (8-10 HP). 3600 PSI and 3.5 GPM. Two pump styles - 4000 PSI / 4 GPM (732 and Up) and 3600 PSI / 3.5 GPM (722). High-performing A.R. pump with 5-year warranty. Pistol-style wand gun is 36'' long with adjustable side handle for stability and comfort during operation. 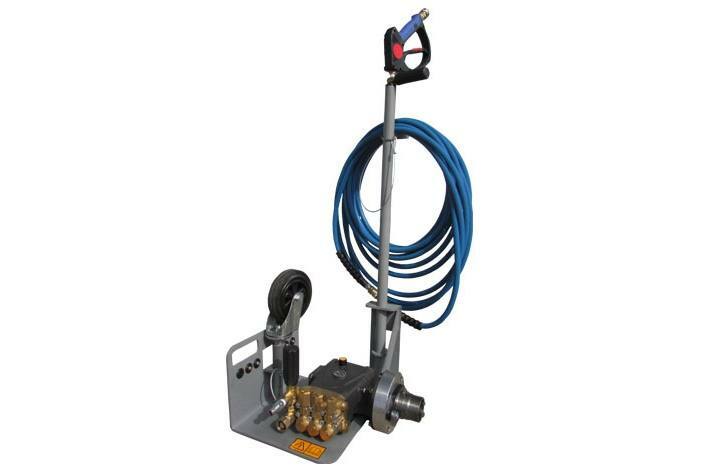 50' non-marking hose can be expanded up to 100' with included swivel quick coupler. Extra hose not included. Pump head (or manifold) is forged brass for longer periods of use and longer life. Rear removable swivel wheel for easier maneuverability. Powder coated steel frame provides storage for wand, hose, and tips. Includes five tips, which provide variable angles at 0, 15, 25, 40, and 65 degrees. Compact size leaves a small storage footprint (20'' x 20''). Optional soap injector kit available (part number 85.400.001). 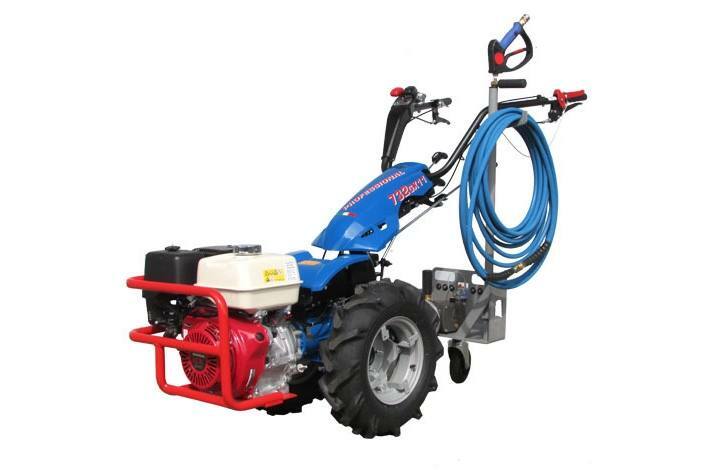 The Pressure Washer requires the Power Cradle accessory to multiply the PTO speed.